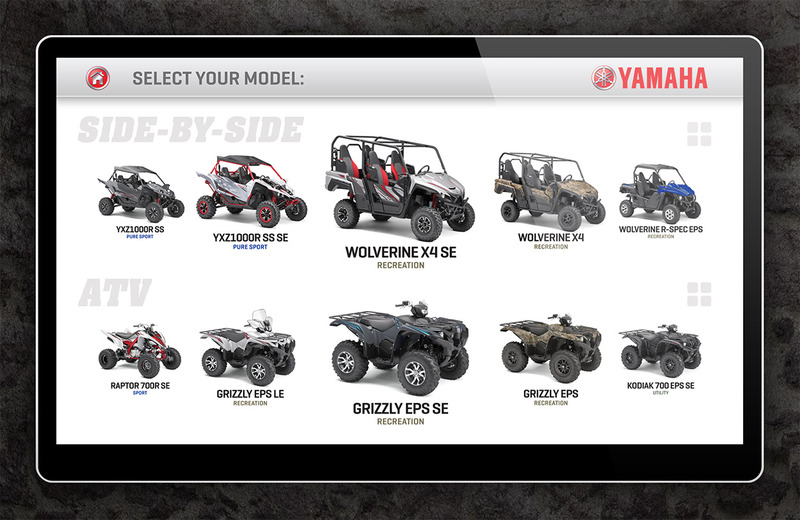 What began as an experimental venture into touch screen technology has turned into a love of how interactive and visually compelling the user experience can truly be. 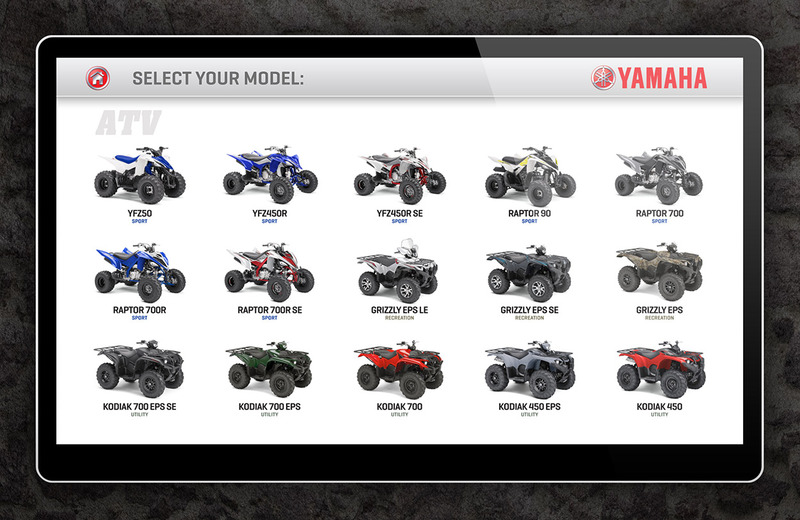 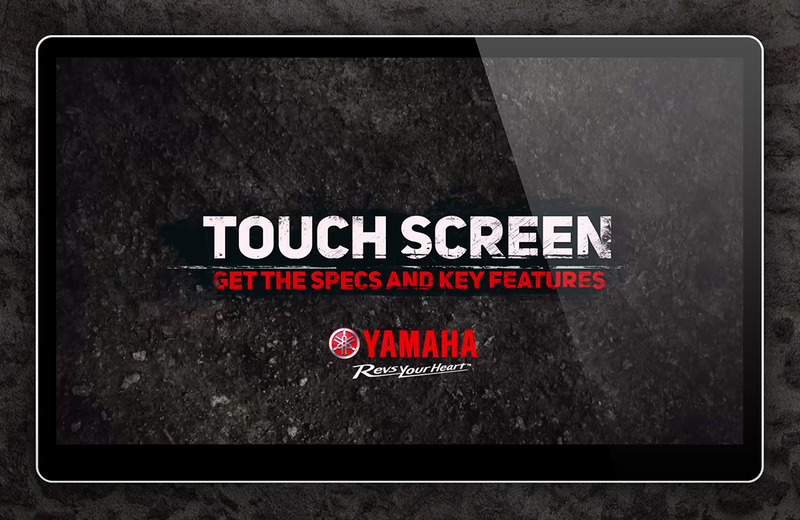 Here is a recent touch screen presentation that I created for Yamaha Motor Corp., USA. 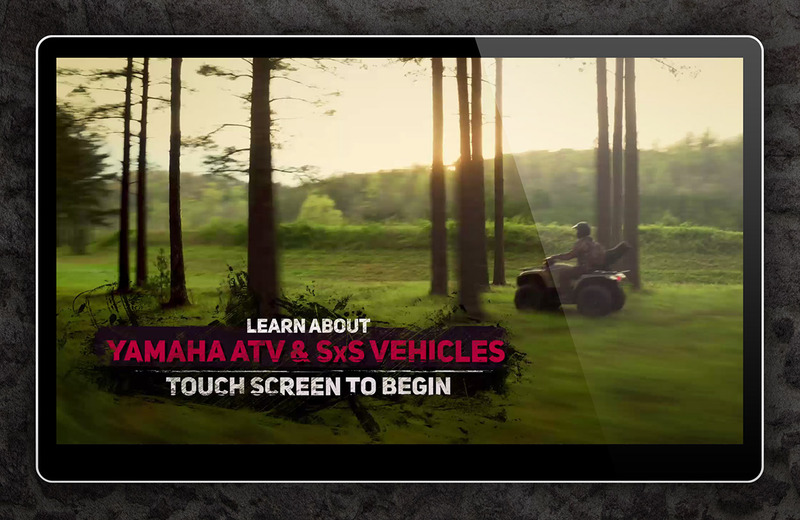 This turn-key solution included presentation, hardware, installation, and training. 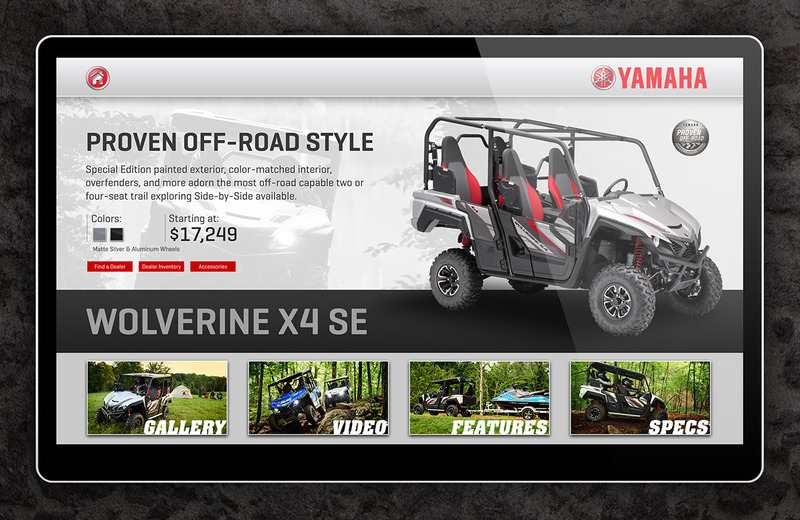 With UX and UI in mind, the goal was to create an attractive and informative catalog of their product. 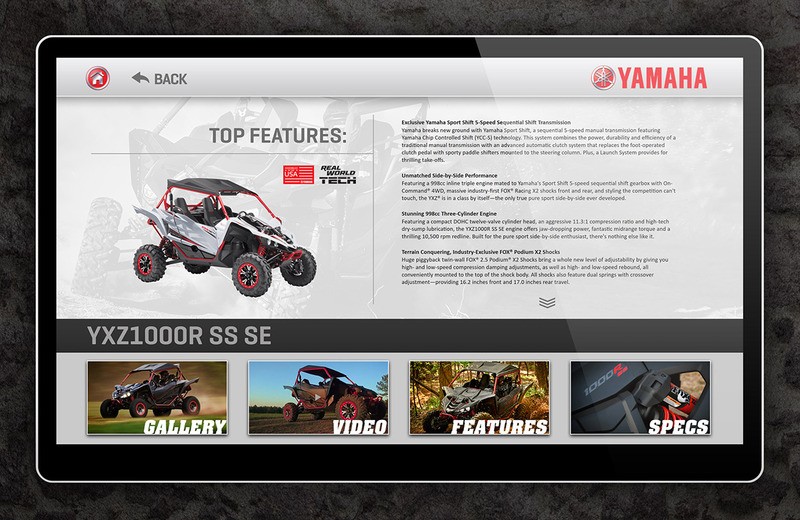 Creating a combination of a visually stunning presentation with a solid and dependable hardware solution was the key to this project's success. 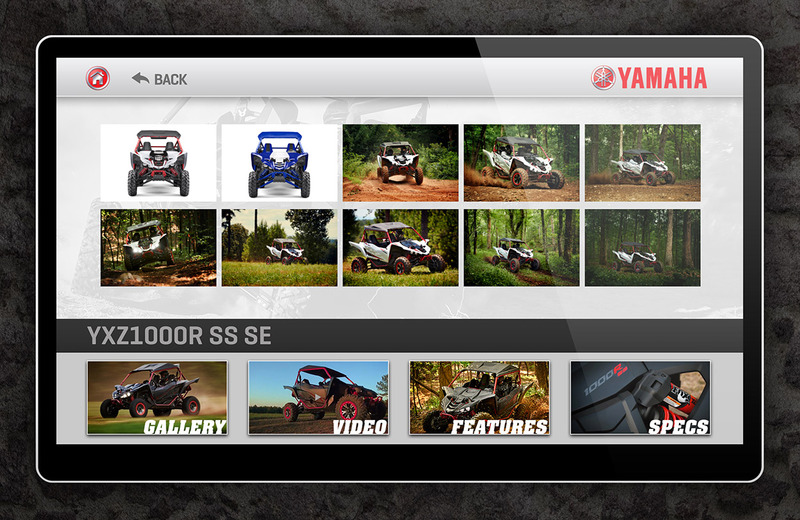 There are now multiple touchscreen catalogues touring trade shows and events around the country.